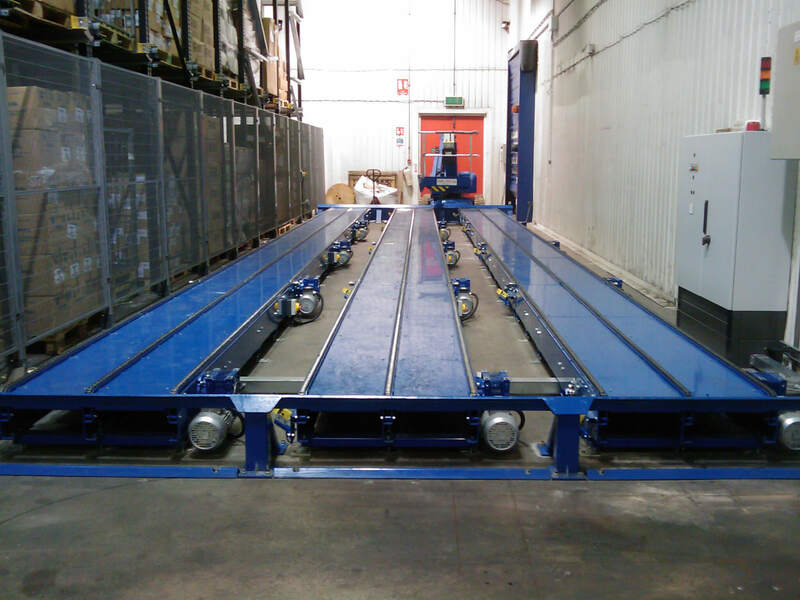 Andrews Automation Ltd has a broad range of pallet handling and conveyor systems to suit most applications. A very dynamic and versatile solution is our chain conveyor. 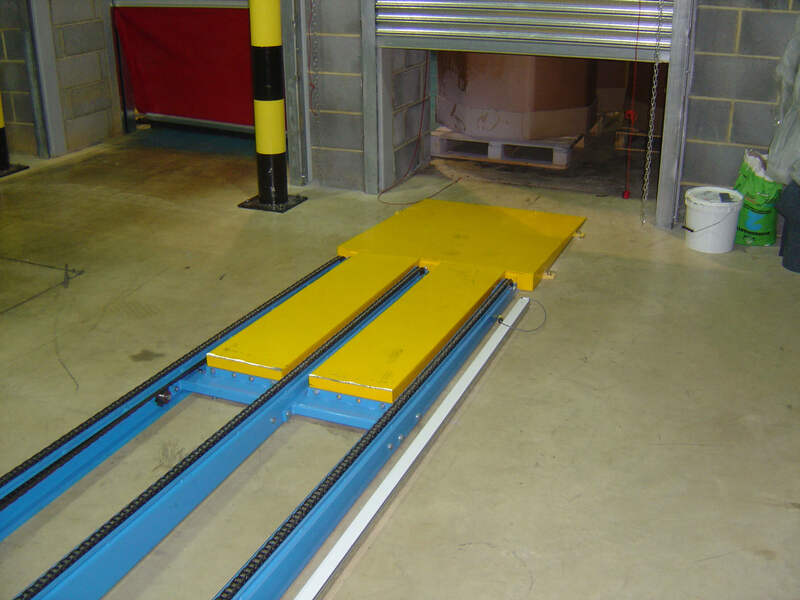 Chain conveyors are generally used when clients need to move heavy loads such as stillages, pallets and other similar items around their facility. 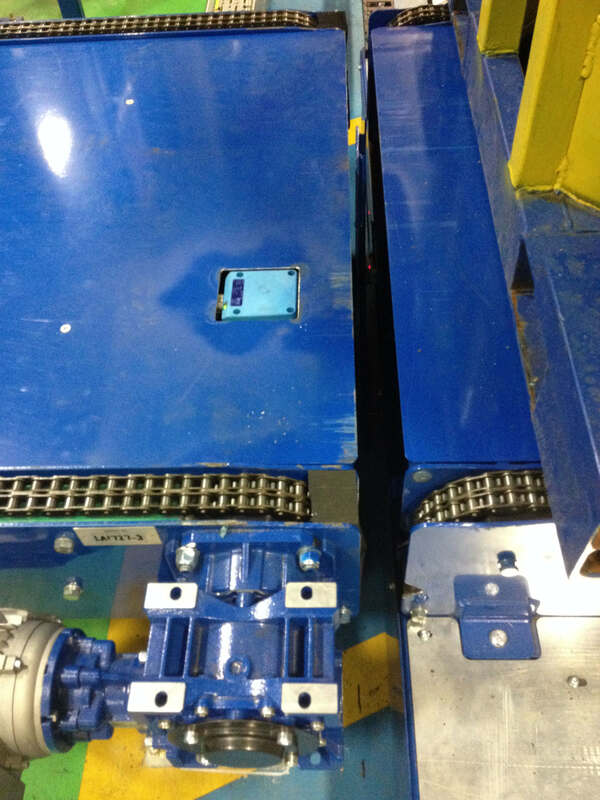 This type of solution is very beneficial due to its simplicity, and is generally deemed a cost effective pallet handling investment. 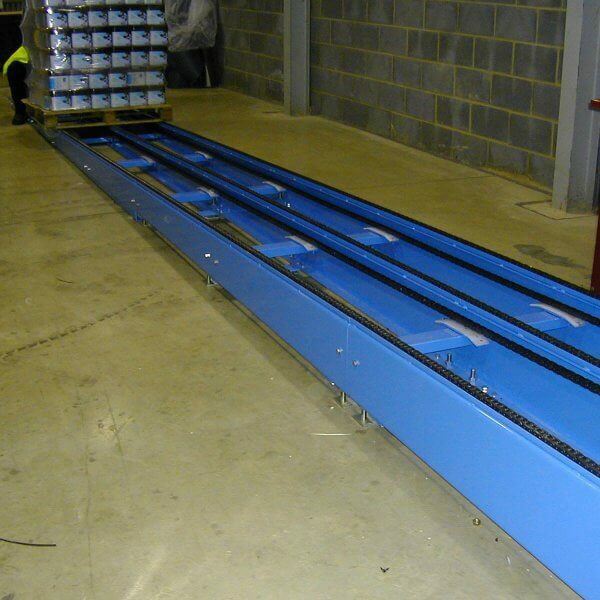 Chain conveyors are great solution to work with as they are easy to install, easy to maintain, and can be extended or shortened with the minimum of work. Andrews Automation chain conveyors generally designed with either simplex, duplex or occasionally triplex chain in order to pull heavy loads from point A to point B. 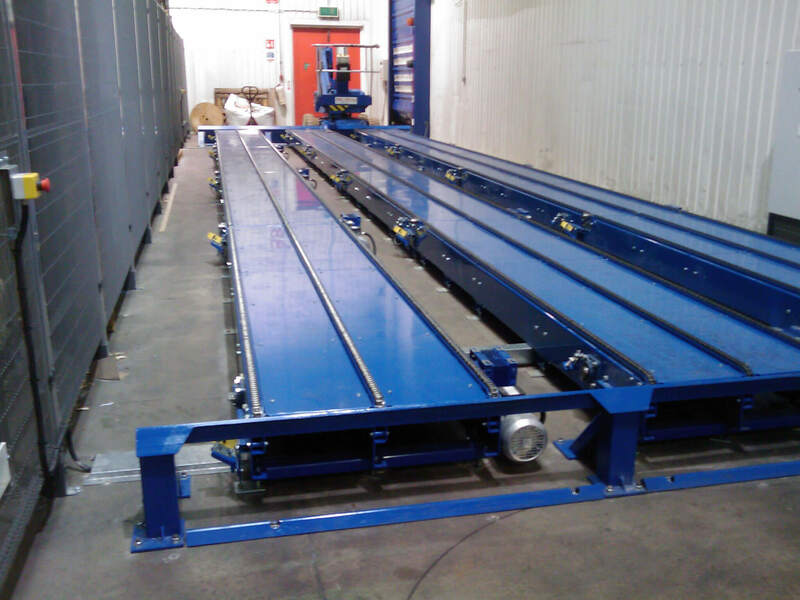 Our chain conveyors utilise either a two chain system for the load to ride on, or a three chain system where required which incorporates a central chain to support the load. We have designed, built and installed chain conveyors in a multitude of industries over recent years including automotive manufacturing, pharmaceutical processing, and the packaging industry. 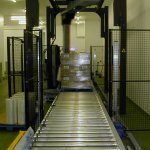 Here at Andrews Automation Ltd, we specialise in the integration of value added products into our conveyor systems and pallet handling solutions and can incorporate cross transfer systems, turntables, scissor lifts, strappingmachines, pallet wrappers and barcode recognition equipment that can integrate into existing Warehouse Management Systems ( WMS ). 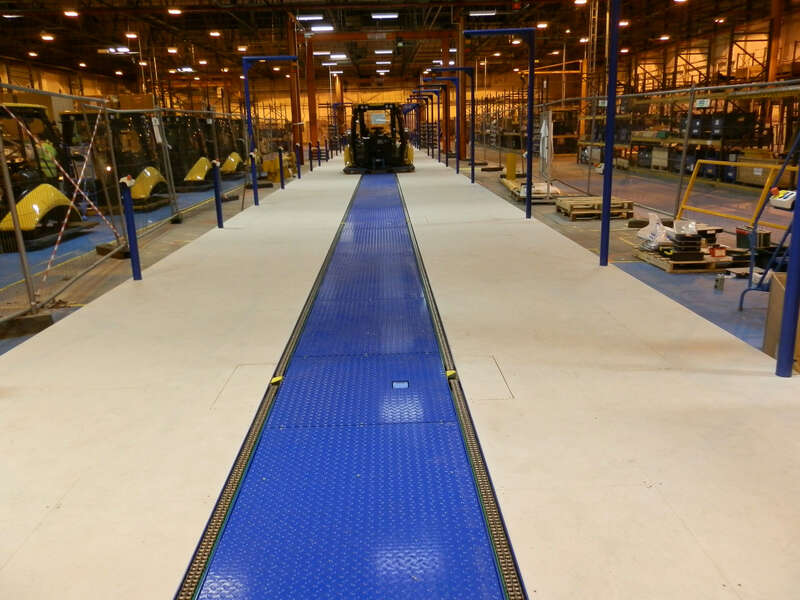 We also get involved in providing Automated Guided Vehicle ( AGV ) solutions for clients too. Where possible, Andrews Automation Ltd look to create complete turnkey systems for our clients. Our premises in Goole, East Yorkshire, has the capacity to design, manufacture and test a fully automated system prior to its delivery to site and installation. We also provide in-house PLC builds and programming which allows us to keep the need to involve 3rd party suppliers down to an absolute minimum. 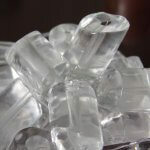 As a direct consequence of this we can offer quotes that are comprehensive and competitive which enables the customer to minimise the number of vendors involved providing their process solutions.